These pockets of regional pride are very interesting. The same thing occurs in Quebec. You will see the provincial flag in far more abundance than the Canadian flag. I didn’t know that about Quebec. 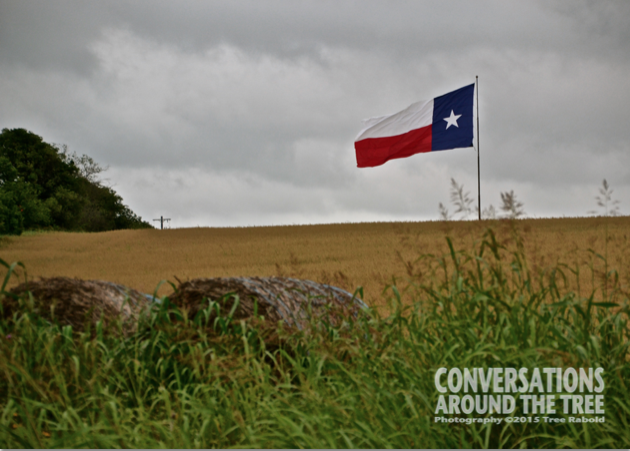 Texas tends to think of itself as independent of the federal government. Is Quebec like that too? HAHAHAHA! OH YES!! Quebec thinks of itself as a unique and distinct society and quite frankly I agree. Actually, I believe that in a constitutional agreement from the 1980s Quebec was guaranteed distinct society status. Sounds like Texas! Apparently all state flags are supposed to fly below the American flag. But not Texas. Because it was its own country (several times) it is allowed to fly the flag at an equal height to the American flag. Texas is unique…not always in a good way….but not always bad either. Their is a true sense of independence that sometimes hurts the people because the state is too proud to ask for federal help. hahahaha – I’m laughing at the part about being unique and not always in a good way. There are always 2 sides to every coin.